Conor Cosimini, producer and studio co-owner got a call earlier last year asking him to join English singer/songwriter Dodie’s touring team as monitor engineer. Catapulted into the role not long after graduating from London College of Music (LCM), Conor arrived loaded with zeal, ambition and an Audient iD14, all set for her ‘You’ tour in October where the audio interface was invaluable in a live setup. 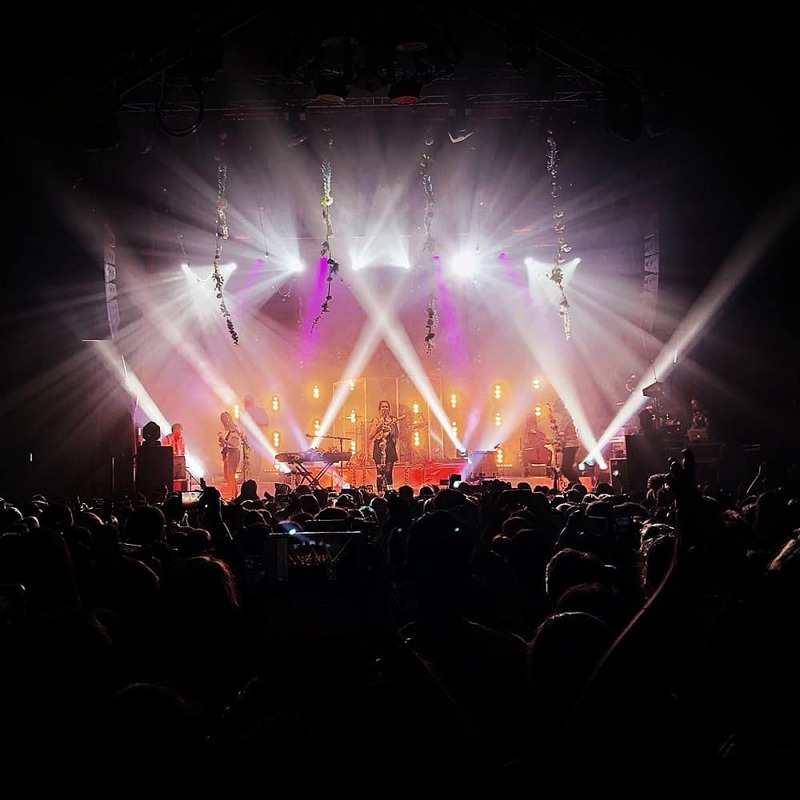 “The iD14 has come on both tours – and every other show I’ve done since – and I couldn’t be happier with it,” confirms Conor in the afterglow of Dodie’s most recent ‘Spring Tour’ which ended in April. Dodie herself has enjoyed a rapid rise from YouTube sensation to successful live performer. She posts both original and cover songs on her main YouTube channel, ‘doddleoddle’ which has over 1.5million subscribers, and a total of over 315 million views across all her channels to date. Now, two independent EPs later, (both of which charted within the top 40 of the UK Album Chart) she’s very much on the touring scene, and has surrounded herself with a strong team of live sound professionals. Describing how the iD14 has been particularly helpful on the latest tour, Conor says, “The balance box we had for some playback went down during one of the shows, and I quickly swapped the usb from my laptop to the playback machine and hooked the line outputs into our splitter – a 30-second fix and no one was any the wiser. So Dodie’s tour is over, but Conor doesn’t appear to be stopping any time soon, listing a couple of co-writing and production projects that he’s working on (but can’t talk about) and also preparing for his next live shows with Orla Gartland and Hannah Grace. Audient certainly reckons he is.